Some people say romance is dead. But is it really? Perhaps it’s not dead but it has simply changed form. However, if you bring back the lost art of romance as it once was, you’ll find that you can impress your significant other like nothing else. The first part of the lost art of romance is to set the mood. Today, many people simply cook up a quick meal or order in, but if you truly want to impress your significant other, you’ll need to pay attention to the details. How many people turn down the lights and eat by candle light any more? Set the table with some tapers and put some tea lights around the room. You may even want to play a CD of piano music or other romantic music, but remember to keep the volume down fairly low so that it doesn’t interfere with talking. Flowers, too, are an important part of setting the mood and showing off your romantic side. 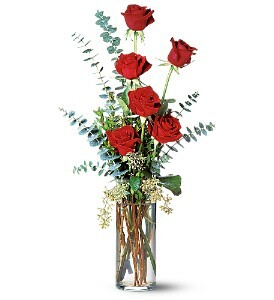 Buy her a nice bouquet of her favorite flowers or set them on the table to surprise her. Remember, though, that you’ll want to move them off the table so that there’s nothing between the two of you that would impede talking. During dinner, you want to be able to see each other. If you go out, be sure to hold doors for her and, if at a restaurant, pull out her chair. These small touches of chivalry may be lost on some women, but others will truly appreciate the extra lengths you’re going to. Just be sure she’s going to appreciate them—if you know your girlfriend or wife isn’t into these types of things (some women aren’t), then don’t do them. Romance may be something of a lost art in today’s break-neck speed lifestyle, but if you slow down and do a little work, you’ll find that you can bring it back and truly make an impression.